Koah gave this 5 stars! 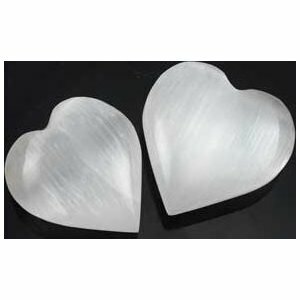 Created out of a single piece of white selenite, these beautiful heart stones are great for any altar, home or sacred space. Use them within your crystal healing to help bring revitalizing energy into your life. Another wonderful item that looks 30 times more stunning in person! Came in great condition and was well packaged. I love this and it was a must have for my altar.